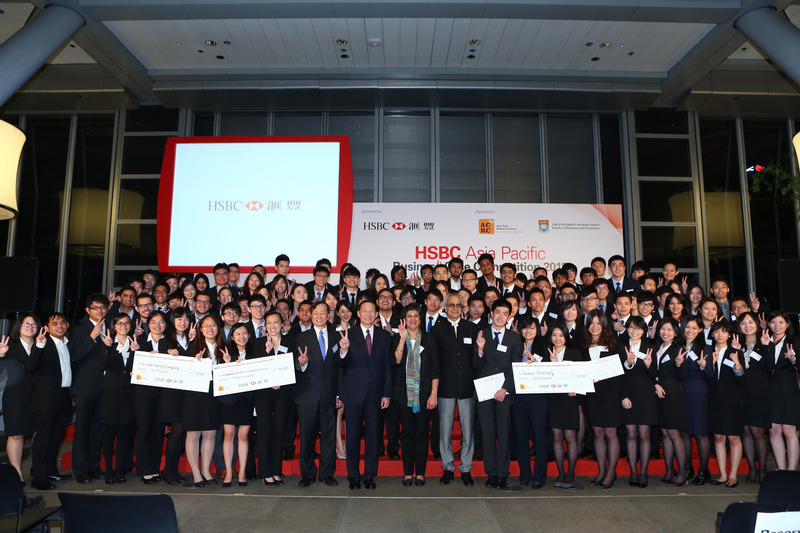 The HSBC Asia Pacific Business Case Competition 2013 was successfully held on 5 & 6 June. Organised by the Asia Case Research Centre, Faculty of Business and Economics and sponsored by HSBC, the competition aims to bring together students from around the region, and give them the opportunity to stretch and apply their quantitative, qualitative and communication skills. After an intense two days of competition, in which four business cases were presented to 35 senior members of the region's business community, the Fudan University won the championship. Members of the winning team were awarded a cash prize of HK$60,000. As the first runner-up and second runner-up, the Hong Kong University of Science and Technology was awarded HK$30,000 and the Chinese University of Hong Kong was awarded HK$10,000 respectively.